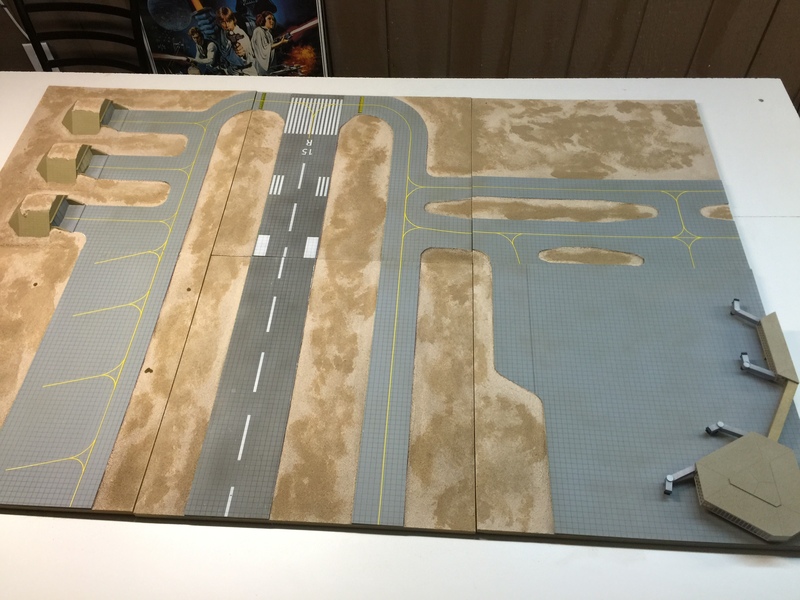 I just brought out my airport boards to work on … And hopefully finally finish up. A few of them have developed a bit of a warp while in storage ,,, gotta try to get that sorted out before going any further. 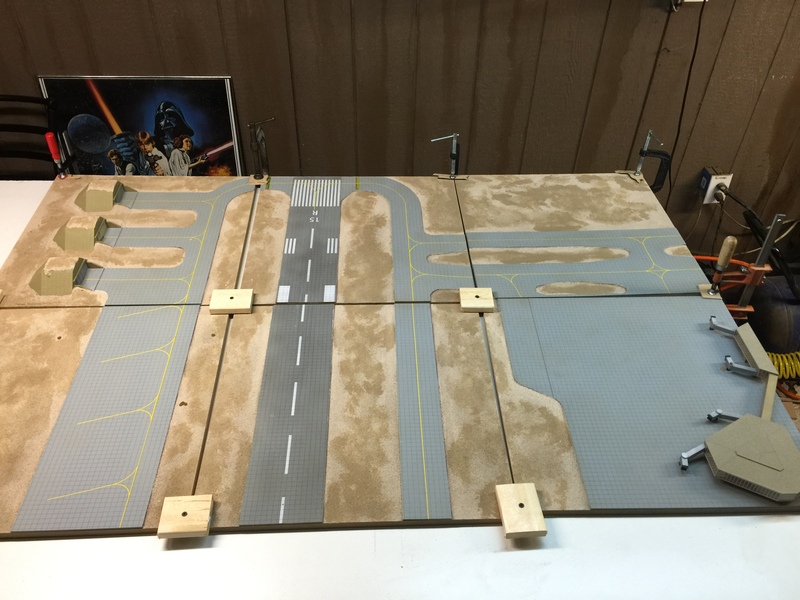 Update… I clamped down all the corners of the boards … I’ll leave them like this for a day or two and see what happens. Hoping for the best. If this does not work perhaps I’ll have get the back sides of the boards moist and then clamp them down and let them dry like that. Fingers crossed, I’m not really interested in starting over on these.